Because girls quit sports 6x the rate of boys, we wrote a book! 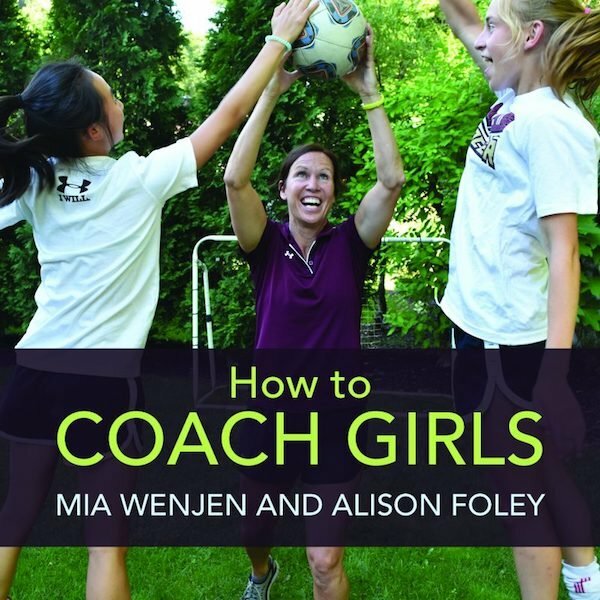 We are thrilled to have a chapter of HOW TO COACH GIRLS featured in Soccer America! Mia: An issue for my middle daughter when she played club soccer was carpools. The problem was that she was the only person on her team from her town. There were three other carpools based on location and then a few girls who were also the only ones from their town. It wasn’t that the girls from town carpools were inherently mean or exclusive or catty … but they came into practice as group who carpooled together, and most had played together for years on town teams together. They talked about people who went to their school who no one else knew. And, on the field, one group had a — most likely unconscious — tendency to pass to each other. As a coach, one easy way to get girls to connect with players other than the ones they tend towards naturally is to form groups by counting off. This naturally splits up cliques. • By age: make a line from youngest to oldest. The coach can then partition off groups. • By pets: if you have a cat, you’re to my right. If you have a dog, you’re to my left. Girls without pets or have other pets, in front of me. • By extracurricular activity: if you play an instrument, to my right. If you’ve ever performed in a play or sang a solo, to my left. Everyone else in front of me. • By books: if you read a book for pleasure today, to my right. If you plan to read a book for pleasure today, on my left. If you are not reading today, in front of me. • By school subject: if your favorite class is Math, to my left. If it’s English, over here. If it’s Science, you’re a group. History lovers over here. • Not in a carpool: form a group with someone you’ve never carpooled with. • Not on a team together previously: form a group with girls you’ve never played with previously. It’s really important to break up groups, not just because of cliques, but because it’s very intimidating for girls to form a group with players who they think are more skilled than they are. They are never naturally going to do this. It’s down to a confidence issue. It’s amazing how fast a new group will form a bond and be laughing together. When girls are put into a group where they don’t have a social connection, they find ways to connect with each other. These bonds make for a stronger team and can last off the field, and even continue when they no longer play together. It’s amazing how such a small thing – forcing girls into groups that they would not voluntarily form – can change the dynamic of a team in such a positive way. I recommend forming new groups as a routine part of every practice. It will strengthen existing bonds and form new ones. • Girls naturally form groups based on who they socially know. • It’s up to the coach to break up cliques by setting the rules to form groups during practice. • One easy way to form groups is to count off which naturally breaks up cliques. • Other ideas for forming groups can help the players find connections with girls that they don’t know. • It’s important to constantly create different groups during practices, as this creates team bonding and helps weaker players to find connections with stronger players. ALISON FOLEY has been the head coach of Boston College’s women’s soccer team for since 1997, guiding the Eagles to the NCAA playoffs 14 times, including appearances in eight sweet 16s, three elite eights and the final four. She was an All-American midfielder at Keene State, where she earned a degree in psychology, focusing on sports psychology of female athletes. She has a master’s degree in kinesiology from James Madison. MIA WENJEN covers education, parenting and multicultural children’s books at PragmaticMom.com. She is a co-founder of the non-profit Multicultural Children’s Book Day, and in 1986 co-founded Aquent. Her two daughters and son play sports year-round, and her husband has served a volunteer coach for their soccer and golf teams. p.s. 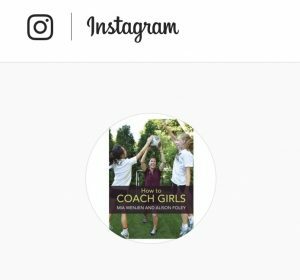 To learn more about How To Coach Girls, check out Instagram, Twitter and Facebook. It’s available for purchase here. CategoriesCoaching Challenges, Our Book Journey TagsThe clique factor -- how coaches can mix it up to make a stronger team, We're in SOCCER AMERICA! Next PostNext We are in Coach & A.D.! Signed Up for Newsletter but Need Link to Form? If you have already signed up for the newsletter (you can only do this once), but you need the link to the form again, please email me at pragmaticmomblog@gmail.com with the form that you want. 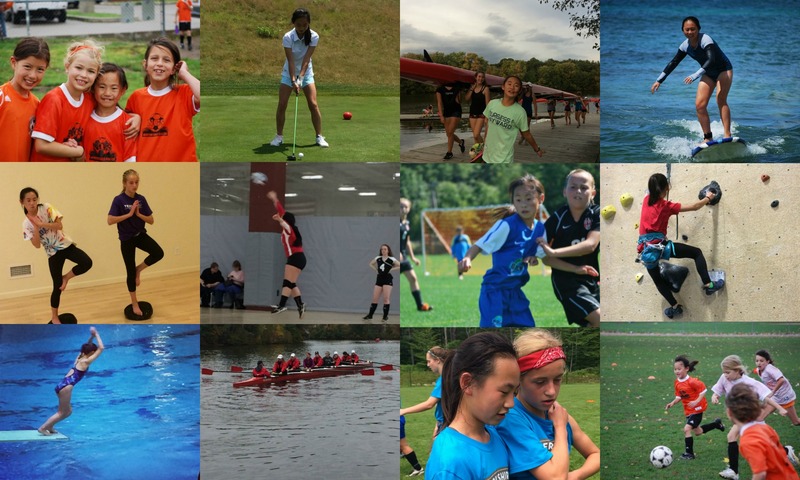 Purchase HOW TO COACH GIRLS by clicking on image! Volunteer Parent Coaches: Free Forms to Get Ready for a New Season! We're writing a book! 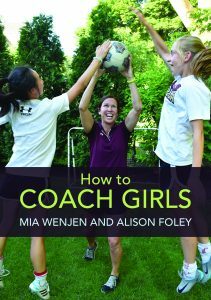 HOW TO COACH GIRLS comes out March of 2018 through Audrey Press. We'll be chronicling our book as we create it, so please join us on this journey.